The B-19434B Series relief valves are suitable for use with oxygen and non corrosive gases. The C-19434B series relief valves are designed for use in carbon dioxide service. • Both designs permit the valve to open slightly to relieve moderately excessive pressure. • When the pressure increases beyond a predetermined point, the valve opens to its full discharge capacity in order to quickly reduce excess pressure. 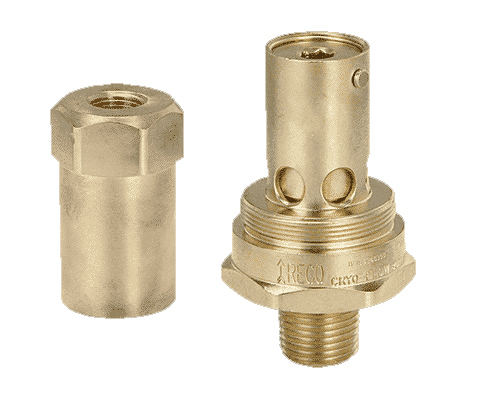 • Pipe-away adapter for venting gas to the outdoors is available. • A.S.M.E. rated. NB Certified. • B-19434-B Series are cleaned for use in oxygen per CGA G-4.1.